Enrica Salvatori is Associated Professor in Medieval History at the University of Pisa, where she teaches Medieval History and Digital Public History. She was Visiting professor at the University P. Valéry (Montpellier, France) in 2006, 2008, 2011 and 2015. 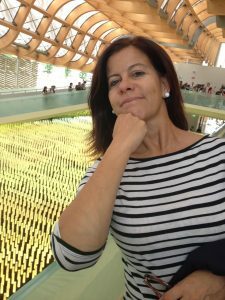 From 2006 to 2010 she was Vice President of the degree course in Informatica Umanistica (Digital Humanities) at the University of Pisa; since 2015 she is Director of the Laboratorio di Cultura Digitale at the University of Pisa (LabCD, Digital Culture Laboratory).